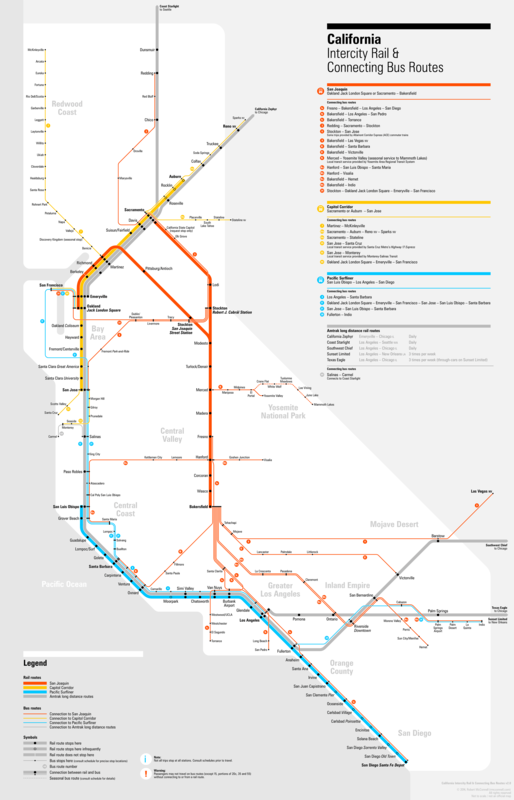 California, a bastion of auto-centric development and culture, nonetheless has a fairly robust intercity rail network, and there have been several attempts at mapping this. I chose to create a diagrammatic map that was somewhere between the two extremes of geographic accuracy and schematic simplicity, identifying rail and connecting bus routes by individual color groups. Some degree of geographical distortion was necessary, but the visual appearance of the map still resembles the general shape of the state.